Hearing of the landmark electoral petition which is contesting the declaration of President John Dramani Mahama as the winner of the December 2012 presidential polls begins at the Supreme Court in Accra today. The petitioners are expected to call their first witness/witnesses today, depending on how long the witness/witnesses will testify, how long the cross-examination will take and, if need be, how long the re-examination lasts. The case, which promises to be a significant historical event in Ghana’s legal and political culture, has the petitioners urging the court to annul 4,670,504 valid votes and subsequently declare the presidential candidate of the New Patriotic Party (NPP), Nana Addo Dankwa Akufo-Addo, as the one who won the December presidential election. According to them, Nana Akufo-Addo won the elections with 59.69 per cent of the votes cast, while President Mahama polled 39.1 per cent. They are, therefore, challenging the EC’s declaration of President Mahama as winner of the presidential polls with 50.70 per cent. However, the EC, which is one of the respondents in the case and conductor of the polls, is standing by its December 9, 2012 declaration of President Mahama as the winner of the polls with 50.7 per cent, with Nana Akufo-Addo placing second with 47.7 per cent. Per the April 2, 2013 orders of the court, the petitioners and the respondents are at liberty to give oral evidence in court. Therefore, Nana Akufo-Addo; his running mate, Dr Mahamadu Bawumia, and the Chairman of the NPP, Mr Jake Otanka Obetsebi-Lamptey, are at liberty to give oral evidence, while President Mahama, the EC and the National Democratic Congress (NDC) are also at will to do same. However, all other potential witnesses for the parties in the case are expected to give their evidence through written and sworn affidavits. The court did not place any limitation on the number of affidavits to be sworn by the parties in the case. It will, however, consider the relevance of the content of the sworn affidavits and factor them into its final decision. Although lawyers for the petitioners are tight-lipped over who their first witness will be, what is not in dispute per the affidavit they have served on the respondents is that Dr Bawumia will be their star witness. In an 83-page affidavit dated April 7, 2013 and filed at the Supreme Court registry, Dr Bawumia has averred that he was the Chairman of the committee that investigated the results of the December polls, during which widespread and gross irregularities were recorded in 11,916 polling stations. He has indicated in his affidavit that he will give a detailed tabulation on how electoral irregularities took place in the 11,916 polling stations across the country. Additionally, six persons, including the Member of Parliament (MP) for Berekum East, Mr Kwabena Twum Nuamah; the NPP’s parliamentary candidate for Upper West Akim in the Eastern Region, Mr Eugene Sackey; the NPP parliamentary candidate for Tano North, Freda Prempeh; a resident of Savelugu, Fuseini Safinu; Abdulai Abdul Hamid of Pong-Tamale and Peter Wuni of Nalerigu, have also given their evidence in the form of sworn affidavits. The court may request the physical presence of some of the witnesses who have sworn affidavits to indicate how irregularities occurred in their respective areas only if compelling reasons are given to warrant their physical presence in court. According to the petitioners, their investigation uncovered six main categories of constitutional/statutory violations, commissions, irregularities and malpractices, namely, over-voting, widespread instances of polling stations where there were no signatures of the presiding officers or their assistants on the pink sheets, in clear violation of Article 49 (3) of the Constitution and Regulation 36 (2) of CI 75, widespread instances of polling stations where voting took place without prior biometric verification, in breach of Regulation 30 (2) of CI 75, as well as widespread instances of the same serial numbers on pink sheets with different poll results, when the proper and due procedure established by the EC required that each polling station has a unique serial number in order to secure the integrity of the polls and the will of lawfully registered voters. They are also alleging widespread instances of polling stations where different results were strangely recorded on the pink sheets in respect of polling stations bearing the same polling station code when, by the EC’s established procedure, each polling station is assigned a unique code in order to avoid confusing one polling station with another which could not be explained by a reference to special voting. In a bid to prove their allegations of fraud, the petitioners have since served 24 boxes filled with thousands of documents on the respondents in the case as evidence. The petitioners brought the petition under Article 64 of the 1992 Constitution; Section 5 of the Presidential Election Act, 1992 (PNDCL 285) and Rule 68 and 68 A of the Supreme Court (Amendment) Rules 2012, CI 74. Since the petitioners are alleging irregularities in 11,916 polling stations, the burden of proof is on them to prove each of the alleged infraction. Nonetheless, the EC has denied all petitioners’ allegations and insists the elections were held on a clean sheet and, therefore, President Mahama won fairly in the full glare of the media, local and international election observers. President Mahama and the NDC, who are the first and third respondents, respectively, in the petition, have also denied the claims of the petitioners. After 10 sittings to consider and rule on more than 21 interlocutory applications filed by parties in the case, the nine-member court has set out two issues for trial. They are whether or not there were statutory violations, omissions, irregularities and malpractices in the conduct of the elections held on December 7 and 8, 2012 and whether or not the said violations, omissions, irregularities and malpractices (if any) affected the outcome of the elections. The main objective of the Supreme Court (Amendment) Rule, 2012, (CI 74) is to ensure that petitions of this nature are disposed of expeditiously. By virtue of provisions in CI 74, the matter will be determined once and for all, since no provision is made for a review of the court’s decision, although the 1992 Constitution allows the court to review its own decisions. The amendment to the Supreme Court rules states, among other things, that the hearing of a petition against a presidential election shall be done on a daily basis, including public holidays. Therefore, once hearing begins, the court will go into a marathon session to dispose of the case expeditiously, according to its amended rules. After taking evidence from all the parties in the case, the court will fix a date for judgement. It will then forward its order to the EC for implementation. It is important to note that the EC will be expected to declare the results again, irrespective of the outcome of the court’s decision. Justices of the Supreme Court who will determine the landmark case are Mr Justice William Atuguba (presiding), Mr Justice Julius Ansah, Mrs Justice Sophia Adinyira, Ms Justice Rose Owusu, Mr Justice Jones Dotse, Mr Justice Annin Yeboah, Mr Justice P. Baffoe-Bonnie, Mr Justice N.S. Gbadegbe and Mrs Justice Vida Akoto-Bamfo. 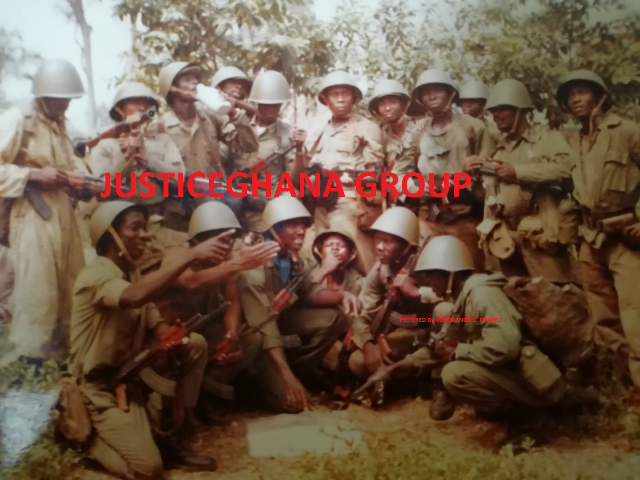 A 10-member legal team, including a former Deputy Attorney-General and Minister of Justice, Ms Gloria Akuffo; Mr Philip Addison, Mr Frank Davies, Mr Alex Quaynor, Mr Akoto Ampaw, Nana Asante Bediatuo, Mr Kwame Akuffo, Mr Kwaku Asirifi, Mr Godfred Yeboah Dame, Mr Egbert Faibille and Professor Ken Attafuah, is representing the petitioners. President Mahama is being represented by Mr Tony Lithur and Dr Abdul Basit Aziz Bamba, while Mr Tsatsu Tsikata and Mr Samuel Codjoe represent the NDC. Mr James Quashie-Idun, Mr Anthony Dabi and Mr Stanley Amarteyfio are representing the EC.